FRM Program gives you a distinctive edge from the other risk professionals operating in money and investment fields. 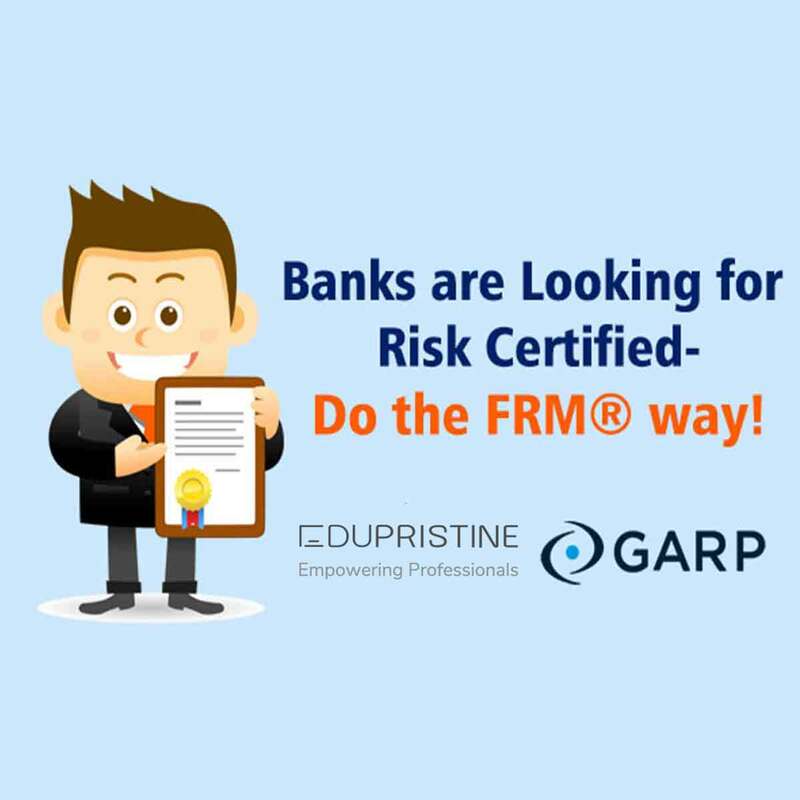 We wish to let you know some of the most sought-after jobs you can pursue after getting the FRM Program for your Financial Risk Management career. Risk Analytics Client Consultant – In this job, you will work with client teams to solve clients’ business-related problems, avert risks, and achieve their business goals. Corporate Risk Managing Director – Are you risk averse but commercially aware? Or looking for a generalist role that will give you exposure to the full range of asset classes and a range of stakeholders? Then this job is for you! Senior Operational Risk Manager – Operational risk management is a banking discipline that aims to improve internal systems, thereby minimizing or tightly controlling risk. IT Risk Management Analyst– This job is with regards to security risk assessments for technology and security frameworks. Regulatory Risk Analyst – Here your job would be to provide support and your expertise on regulatory affairs status, outlook and risk profiles across a bank. Credit risk specialists – Credit analysts make assessment and make decisions about their customer credit applications. They use a range of criteria that includes the purpose of important requirements that is expected out of them. This includes application, credit viability, customer payment history and customer credit-worthiness. Market risk specialists – Market risk analysts use their experience and knowledge of an industry or market trends to provide advice on possible investments. Prudential/Investment Risk Manager – Your job would be to perform the second line of defense investment risk and performance monitoring, analysis and reporting of key metrics relating to investment portfolios including funds in shape. Enterprise Risk Manager – In this job, you will develop and enhance ERM compliance strategy, practices and policies to analyze, quantify and report enterprise risks and manage risks according to an ERM framework. Risk Manager – You will be responsible for assesment and identification of the potential risks that may hamper the organzation’s reputation, safety, security and financial prosperity. If FRM Program is what you wish to do, then kick-start your Financial Risk Management Career. Let us know if we can catch up over a counseling session on the phone to talk about it.